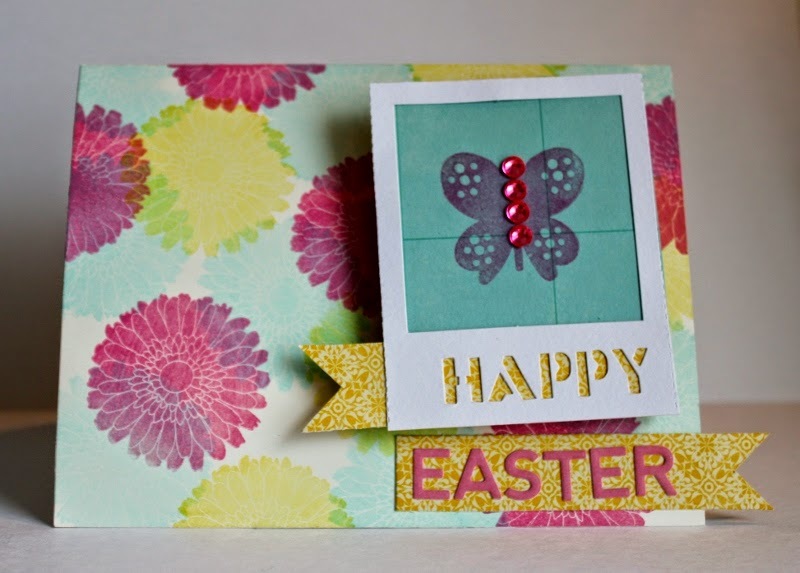 Here is another colorful Easter card to share, would you believe it was made with a baby girl stamp set? That’s right this card utilizes the Hampton Art/Echo Park – Bundle of Joy stamp set and a couple Jillibean Soup extras. 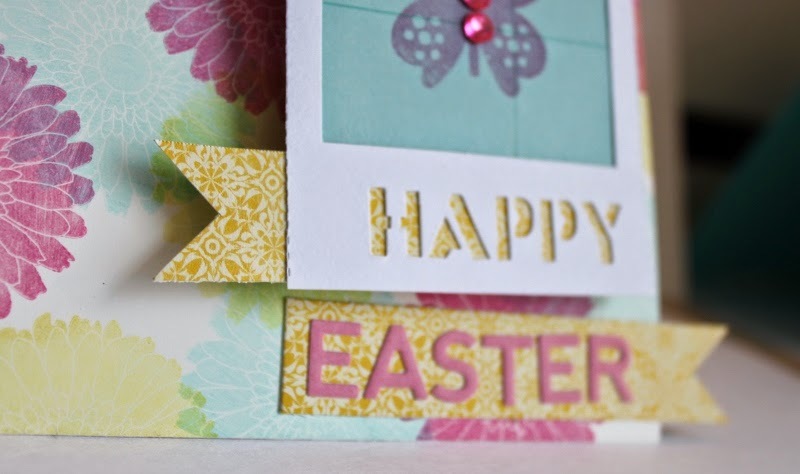 Once again I wanted the stamping to be the highlighted feature of this Easter card too. So I began with a plain white cardstock base and selected the three ink colors for the flowers. Using the flower stamp I began with the yellow, then stamped the blue and last stamped the pink. Then I chose a “Happy” placemat frame and using a patterned lt. blue paper I stamped the butterfly in pink ink and attached it behind the frame as shown. The placemat was then added to the card using a wobble action spring for depth. Then I layered a patterned yellow paper behind the happy and cut a mirror image of the same yellow banner piece to add the “Easter” sentiment in alphabean stickers and adhered it below the frame. Last I added some KI Memories pink gemstones to bling it up a bit. That was all there was to it, very easy card. Personally I love to find unexpected uses for my themed stamp sets, how about you? It just adds value to be able to use your stamp sets for several different themes, and these days value is good.